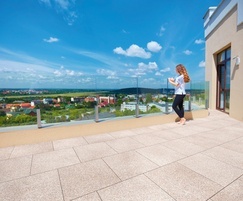 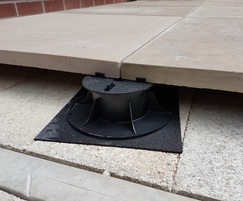 These fixed head pedestals from Marshalls are designed to support paving and create level flooring on balconies and roof decks. 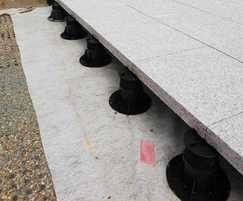 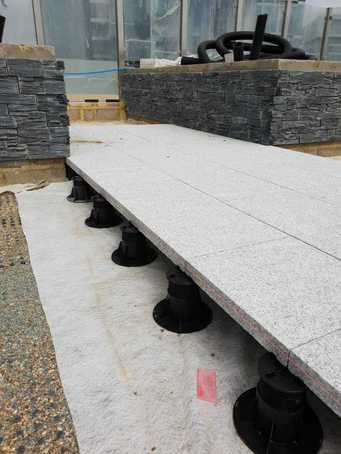 The pedestals feature integral spacers that create a 4mm joint between the paving elements, and the height can be easily adjusted using the threaded core. 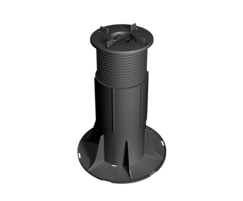 The pedestals have been tested and proven to withstand loads in excess of one tonne, but are not recommended for vehicular traffic.